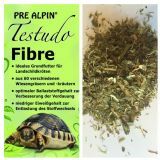 The protein content of PRE ALPIN Testudo is extremely low. 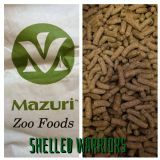 It contains selected grasses with a very low protein content and, at the same time, a very high crude fibre content. The reduced protein supply unburdens particularly liver and kidneys and promotes the detoxification of the body.